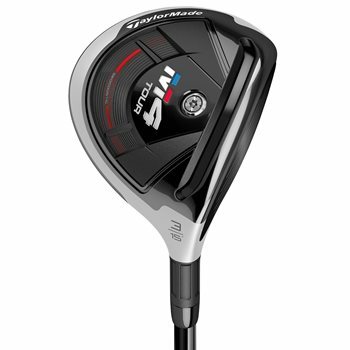 The TaylorMade M4 Tour fairway wood has a new 5-layer carbon crown that creates a lower CG and drives higher launch while reducing spin. The ultra-strong Ni-Co 300 steel face insert allows for a thinner, faster face for optimized ball speed while the Fluted Hosel provides superior sound and feel without compromising the CG location. The M4 Tour fairway has a smaller overall shape for a more compact look at address and the sole and leading edge profile provides Tour-inspired workability and versatility from the fairway and difficult lies.